Pastor Jimmy Nimon had a dream in his heart to plant a church that helps people become more fully devoted followers of Jesus Christ built around authentic relationships. With a passion for worship, prayer, preaching the good news of Christ, making disciples, and impacting the surrounding community, Lifeway Church was born. Ephrata Community Church sent out the 68 adult members of the launch team and also gave significant time, energy, and money to make the establishment of Lifeway Church a reality. We will forever be indebted to their kindness and generosity towards us. 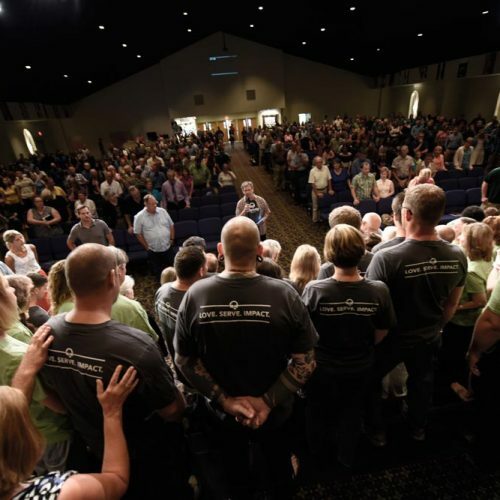 On September 20th, 2015, Lifeway Church launched with 249 people in attendance. Since then, we have seen many people surrender their lives to Jesus Christ. With small groups around the region that we call Life Groups, our congregation is growing in Christ and doing life together as we seek to advance God’s love and will in the Lebanon County region and beyond.